In a small bowl mix together the chili powder, salt, garlic powder, oregano, cumin and olive oil. Slather the rub all over the chicken breasts. Let it sit on there for about 30 minutes in the fridge. Grill the chicken for about 5 minutes per side, depending on the thickness of the chicken. When the juices run clear, the chicken should be cooked through. Allow to rest a few minutes before slicing. 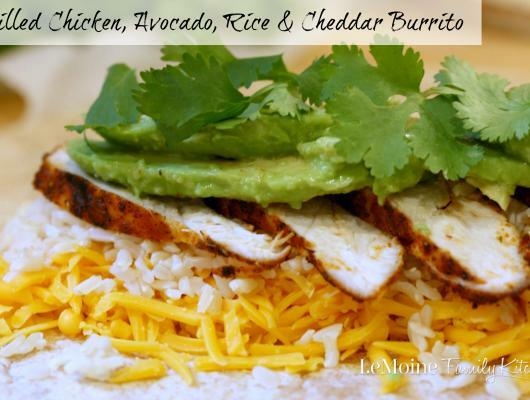 On the tortilla, layer some cheddar, brown rice, sliced grilled chicken, avocado slices and fresh cilantro. To assemble, fold over the side closest to you, then fold the sides in a little bit and from there go ahead and just roll the whole thing until closed. Placed onto a panini press and cook just until you've got those great grill marks and the cheese is melted. Serve with lime wedges and salsa. 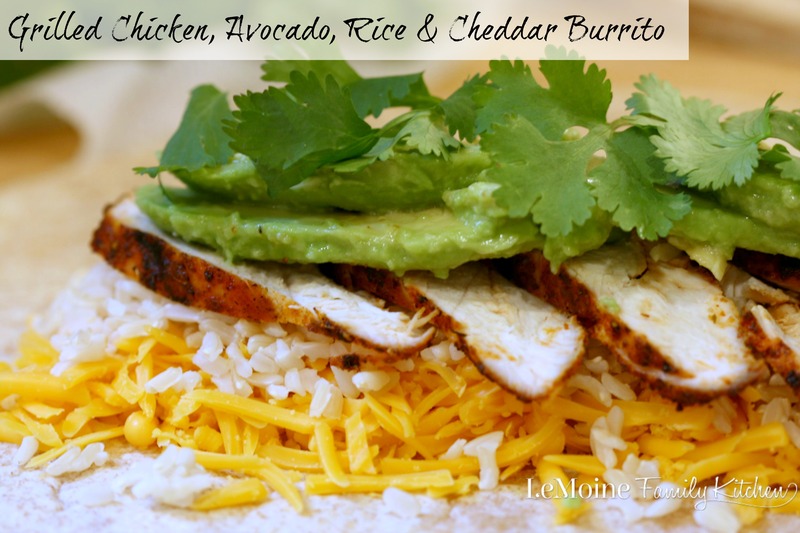 I also shoved in some extra cilantro after cutting the burrito because I am one of those that LOVES cilantro!